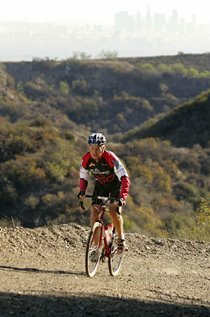 Jim Swarzman Memorial Membership Drive: Join, renew, or donate and LA County Bicycle Coalition will receive twice the amount you give! 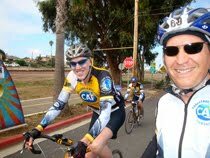 Join, renew, or donate and LACBC (click!) will receive twice the amount you give via AdventureCORPS' $10,000 pledge! 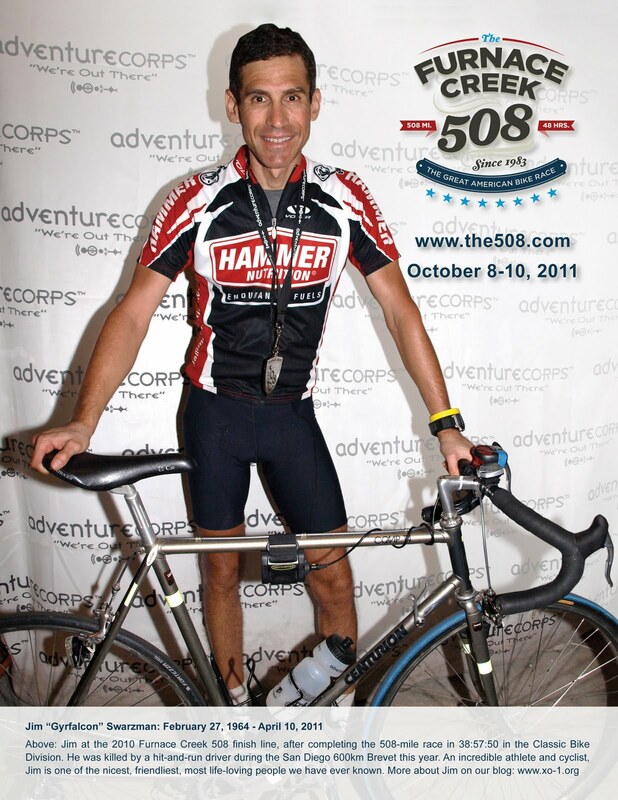 From Chris Kostman, Chief Adventure Officer and Race Director, AdventureCORPS, Inc. 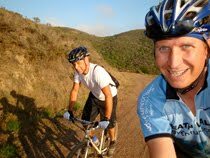 Fellow cyclist Jim Swarzman, age 47, was killed by a hit-and-run driver in a large pick-up truck, possibly intentionally, while cycling in an unsupported 600km long-distance cycling event called a "brevet" early on April 10, 2011 in Leucadia (part of Encinitas, in San Diego County). The driver later turned himself in, plead not guilty, but was found guilty and is awaiting sentencing. The maximum sentence is four years for the crime for which he was charged. Meanwhile, Jim is gone and the lives of his fiancé, friends, and family have been shattered. I believe it is crucial that we do something to honor Jim's life and legacy, and to help insure that this kind of senseless, unnecessary tragedy never happens again. Please join in that effort, and read on. Jim Swarzman was a really great guy, and had recently become engaged to another long distance cycling enthusiast, Nicole Honda. They had been planning to move into their new home together the weekend after Jim was killed, and they also had planned to ride Paris-Brest-Paris this summer on their honeymoon. 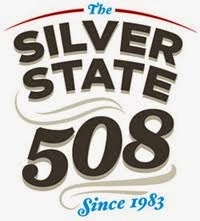 They have both raced Furnace Creek 508, a 508-mile bicycle race which we organize through Death Valley and the Mojave Desert, on a two person team, and solo, including in the "classic bike" division with an "old school" set-up. Personally, I really, really liked Jim and we connected on many levels. We talked about all kinds of things while cycling, but never about work. I don't even know what his career was; we were friends beyond those mundane things. I thought it was very cool that he had been president of a Porsche Car Club for many years. I believe he told me that he had owned as many as six Porsches at one time. But in recent years he had become a much bigger fan of collecting, and riding, bikes. More importantly, he was collecting happy memories with his lovely fiancé, in cycling and in life. Jim had been a bike racer back in the 80s, had got away from cycling for about twenty years, then recently rediscovered it with a passion, meeting Nicole in the process. 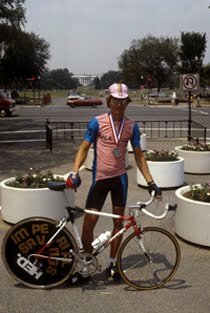 When I first rode with him, I could tell that he had old school, classic style, because of his position on the bike and smooth pedaling form. 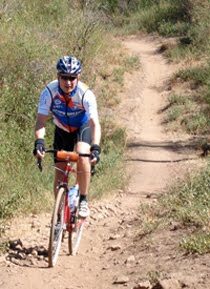 I loved watching him ride and had the pleasure of riding the San Diego 200km brevet with him earlier this year, plus a few hours of the LA 300km brevet a few weeks later. 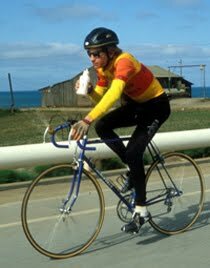 Even after 20 years away from the sport, he truly rode like a pro, gracefully, strongly, with a relaxed, but precise style and posture. 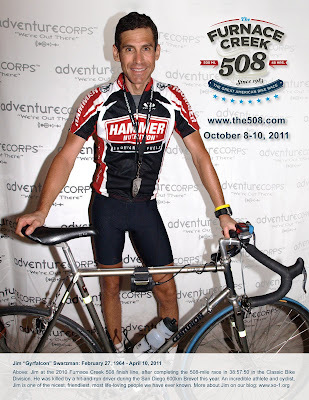 He had really gotten into cycling with a vengeance at this point in his life, riding brevets, double centuries, Furnace Creek 508, plus creating epic rides to go do with friends. He was 100% my kind of guy, on and off the bike. Jim was living life to the fullest, was very fit, good looking, and in Nicole Honda had found an amazing cyclist, and lovely, bubbly, outgoing, and extremely positive life partner. They were a match made in heaven, truly. 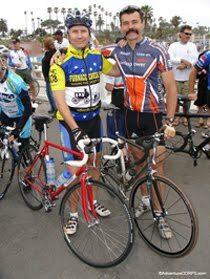 Jim was riding with Nicole, along with fellow distance cyclist Chris Hanson, when he was struck by the hit-and-run driver on April 20, 2011. He was airlifted to a nearby hospital, but passed away a few hours later. There was a huge turn-out at the tribute to Jim and his life at Mount Sinai Memorial Park on April 14. 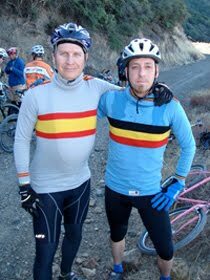 Many fellow cyclists rode there, quite a few in cycling jerseys, to pay tribute to Jim and to show their solidarity as fellow cyclists. After Jim's father, sister, and best friend spoke, Nicole spoke last. It was heart-wrenching, but yet empowering and motivating to hear everyone speak of Jim's tireless energy, zest for life, and unquenchable thirst for adventure, and for sharing it with other people. Nicole wrapped up her words about Jim by saying "Many of you have asked what you can do to show your respect for Jim and support of me. I have two things which I'd ask: One, pay attention while driving. Don't text, don't fish behind the seat for your purse, don't put on make-up while driving. Pay attention; your life or somebody else's may depend on it. And two, please join the Los Angeles County Bicycle Coalition. 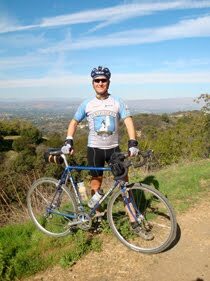 Jim was an LACBC supporter and this organization needs more members and more support, because they are our voice, fighting to make streets safer and laws more just for cyclists." By chance, I was sitting behind Jennifer Klausner, the executive director of the LA County Bicycle Coalition, during the memorial and I saw her jaw literally drop as she heard Nicole's plea to support LACBC as a tribute to Jim and his life. It was in that moment that I knew I would do something to amplify that special request from Nicole. 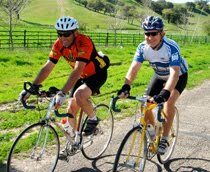 The Los Angeles County Bicycle Coalition is a nonprofit organization with over 1,000 members that engages cyclists through advocacy, education and outreach across the county. 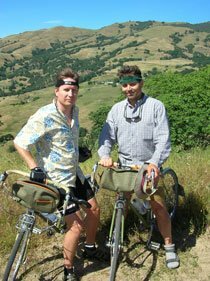 Founded in 1998 by bicycle advocates Joe Linton and Ron Milam, LACBC brings together the diverse bicycling community in a united mission to improve the bicycling environment and quality of life for the entire region. 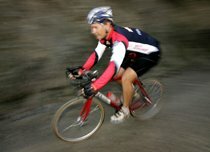 Despite Los Angeles’ reputation as a car-centric region, LACBC has emerged as one of the most innovative and wide-reaching bicycle advocacy non-profits in the country. 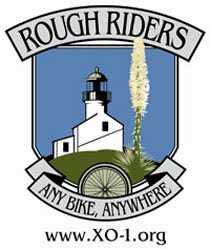 They have played a major role in the growing cycling movement here in LA. Their vision is to improve the built environment in Los Angeles, so that all cyclists--low-income, commuter, recreational, families, and women--can safely navigate LA County streets. Through the help of a strong volunteer network, LACBC accomplishes this vision in their campaigns to increase bicycle infrastructure throughout the 88 cities in the County. 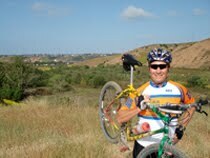 To that end, through AdventureCORPS, we are sponsoring the Jim Swarzman Memorial Membership Drive. 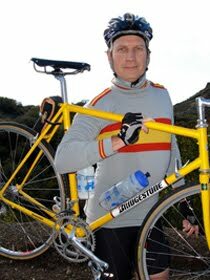 As such, AdventureCORPS will match all memberships and contributions to LACBC in Jim’s honor, up to $10,000. So when you join, renew, or donate, LACBC will receive twice the amount you give. 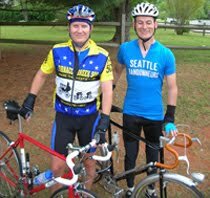 We ask that you please encourage your friends to become members now - whether they are new or long-time cyclists, whether you knew Jim personally or have been touched by hearing about his story. This Membership Drive has been going for about a month now, and will come to a close soon. Please join, renew, or donate today! Your contribution will have TWICE the impact in helping us create safer streets for all cyclists! AdventureCORPS, Inc. is an athlete-run firm producing and promoting ultra-endurance and extreme sports events, lifestyle, and media. Adventure is our way of life. AdventureCORPS' world-class events for athlete-adventurers include epic races such as the Badwater Ultramarathon and Furnace Creek 508, plus CORPSCamp Death Valley, Hell's Gate Hundred, Mount Laguna Bicycle Classic, Death Valley Century, Ultra Century, & Double Century (Spring and Fall editions), and Rough Riders Rally. We also host and develop our adventure-related websites and provide a variety of adventure-related services. Founded in 1984 by Chris Kostman, this group effort is dedicated to exploring the inner and outer universes, seeking adventure, energy, and insight both in daily life and "out there." Please join us! 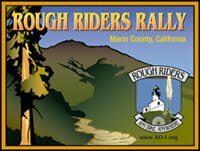 More info at www.adventurecorps.com.